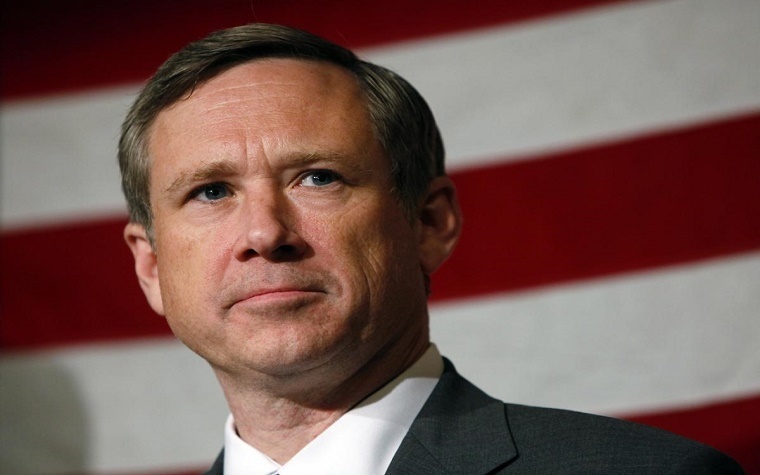 In a recent opinion piece for the Chicago Sun Times, Sen. Mark Kirk (R-IL) wrote about legislation he has penned concerning oral chemotherapy treatments. Kirk's Cancer Drug Coverage Parity Act aims to make it law that insurance companies must give equal coverage for oral and intravenous chemo treatments. Kirk asked readers to imagine they had to watch their children go through grueling IV chemo. "What if these children battling cancer could instead receive their treatment in the comfort of their own homes?" Kirk wrote. "No needle, just a pill. This could be the future of cancer treatment. Self-administered oral chemotherapy drugs are becoming the standard of care for certain types of cancer, and they are a promising alternative to traditional IV chemotherapy." Kirk noted insurance companies consider oral chemo a prescription drug rather than a medical treatment. For IV chemo, the opposite is true. This makes oral chemotherapy very expensive, and in many cases out of reach for patients who need it. "It is estimated that nearly 35 percent of all new treatments in the oncology pipeline are oral chemotherapy drugs," he wrote. "Oral chemotherapy is less invasive and can be taken at home, reducing travel time, hospital expenses and the risk of infection." Kirk wrote that treatments that could benefit patients are useless if patients can't get them. "According to the Community Oncology Alliance, drug coverage is one of the leading challenges for cancer patients," he wrote. "One in six cancer patients with high out-of-pocket costs ends up abandoning treatment. Cancer patients should be free to choose a course of treatment based on what they and their doctors believe is best for them — and not have to break the bank to do so." To date, 40 states have passed legislation mandating equal coverage for oral and IV chemo, and Kirk encouraged Illinois lawmakers to do the same. "My bill would help patients keep some quality of life, while also cutting down on out-of-pocket-costs that could save a late-stage cancer patient nearly $10,000," he wrote. "This bipartisan legislation is supported by the medical community and patient advocacy groups."